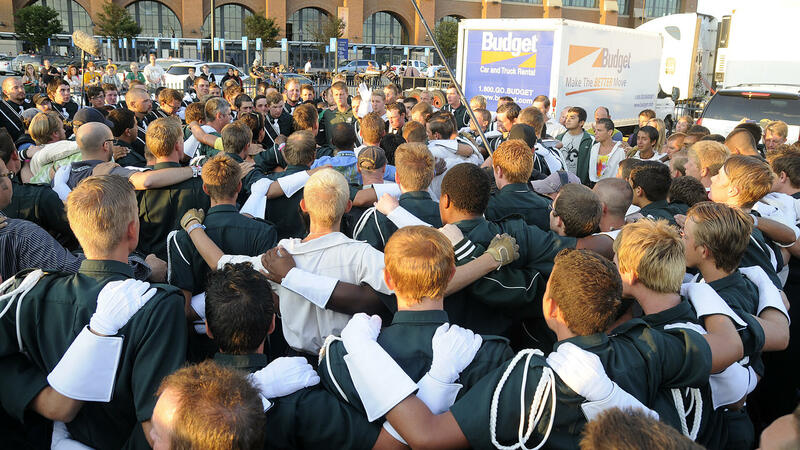 “Scouts Honor: Inside a Marching Brotherhood” is a documentary film which chronicles the personal journeys of three members of the Madison Scouts Drum and Bugle Corps as they prepare for and participate in the Drum Corps International Summer Tour. The film, originally released in 2014, has garnered wide acclaim and racked up an impressive number of awards at film festivals throughout the country. The production is now available for download through iTunes, providing an even greater opportunity for much wider exposure to a massive potential audience. Available on Blu-ray and DVD, digital copies of the film can be rented ($4.99) or purchased ($9.99) through iTunes. About “Scouts Honor: Inside a Marching Brotherhood"
In one unforgettable summer, three young men commit themselves to one of the most demanding youth activities in the country—World Class drum and bugle corps: A veteran drum line member steps into a leadership role for the first time; a 15-year-old trumpet player from Texas becomes the youngest member of the entire corps; and a color guard member fights to finish his final season after receiving a life-changing diagnosis. All three young men march with the Madison Scouts from Madison, Wisconsin. The strong brotherhood of this all-male organization helps them through their struggles and celebrates their triumphs.